What is the cheapest way to get from Cologne to Frankfurt Airport (FRA)? The cheapest way to get from Cologne to Frankfurt Airport (FRA) is to drive which costs 20€ - 30€ and takes 1h 38m. What is the fastest way to get from Cologne to Frankfurt Airport (FRA)? The quickest way to get from Cologne to Frankfurt Airport (FRA) is to train which costs 30€ - 50€ and takes 54m. 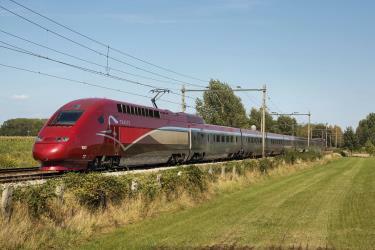 Is there a direct train between Cologne and Frankfurt Airport (FRA)? Yes, there is a direct train departing from Köln Hbf and arriving at Frankfurt(M) Flughafen Fernbf. Services depart hourly, and operate every day. The journey takes approximately 54m. How far is it from Cologne to Frankfurt Airport (FRA)? The distance between Cologne and Frankfurt Airport (FRA) is 151 km. The road distance is 178.1 km. How do I travel from Cologne to Frankfurt Airport (FRA) without a car? The best way to get from Cologne to Frankfurt Airport (FRA) without a car is to train which takes 54m and costs 30€ - 50€. How long does it take to get from Cologne to Frankfurt Airport (FRA)? 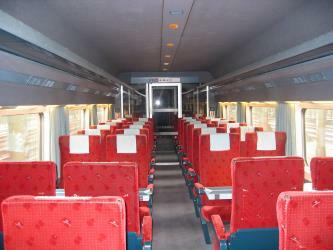 The train from Köln Hbf to Frankfurt(M) Flughafen Fernbf takes 54m including transfers and departs hourly. Where do I catch the Cologne to Frankfurt Airport (FRA) train from? Cologne to Frankfurt Airport (FRA) train services, operated by Deutsche Bahn, depart from Köln Hbf station. How long is the flight from Cologne to Frankfurt Airport (FRA)? The quickest flight from Dusseldorf Airport to Frankfurt Airport is the direct flight which takes 50m. Where does the Cologne to Frankfurt Airport (FRA) train arrive? Cologne to Frankfurt Airport (FRA) train services, operated by Deutsche Bahn, arrive at Frankfurt(M) Flughafen Fernbf station. Can I drive from Cologne to Frankfurt Airport (FRA)? Yes, the driving distance between Cologne to Frankfurt Airport (FRA) is 178 km. It takes approximately 1h 38m to drive from Cologne to Frankfurt Airport (FRA). What companies run services between Cologne, Germany and Frankfurt Airport (FRA), Germany? 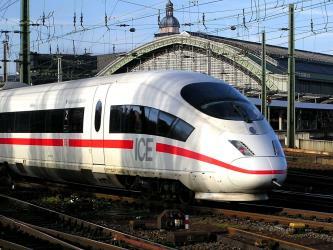 Deutsche Bahn operates a train from Cologne to Frankfurt Airport (FRA) hourly. Tickets cost 30€ - 50€ and the journey takes 54m. Which airlines fly from Dusseldorf Airport to Frankfurt Airport? Lufthansa offers flights from Dusseldorf Airport to Frankfurt Airport. 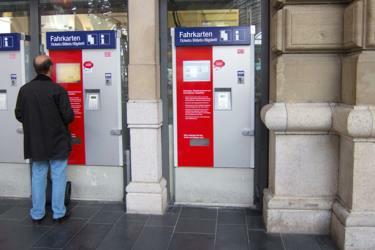 How do I get a train ticket from Cologne to Frankfurt Airport (FRA)? 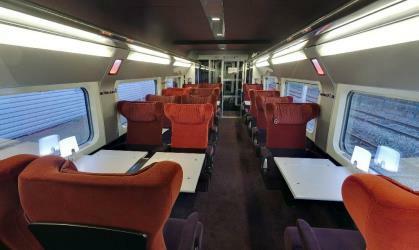 Book your Cologne to Frankfurt Airport (FRA) train tickets online with Rome2rio. Where can I stay near Frankfurt Airport (FRA)? There are 927+ hotels available in Frankfurt Airport (FRA). Prices start at 49€ per night. Commerzbank-Arena is a sports stadium in Frankfurt, Hesse, Germany. Commonly known by its original name, Waldstadion (English: Forest Stadium), the stadium opened in 1925. The stadium has been upgraded several times since then; the most recent remodelling was its redevelopment as a football-only stadium in preparation for the 2005 FIFA Confederations Cup and 2006 FIFA World Cup. With a capacity of 51,500 spectators for league matches and 48,500 for American Football and International Football matches, it is among the ten largest football stadiums in Germany. The stadium was one of the nine venues of 2011 FIFA Women's World Cup, and hosted four matches including the final. Frankfurt (Main) Hauptbahnhof (German for Frankfurt (Main) main station), often abbreviated as Frankfurt (Main) Hbf and sometimes translated as Frankfurt central station, is the busiest railway station in Frankfurt, Germany. The name affix "Main" comes from the city's full name, Frankfurt am Main. 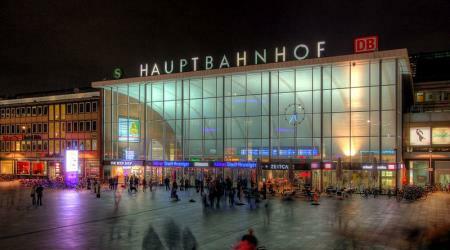 In terms of railway traffic, Frankfurt (Main) Hauptbahnhof is the busiest railway station in Germany. With about 450,000 passengers per day, the station is the second busiest railway station in Germany (together with Munich Hauptbahnhof and behind Hamburg Hauptbahnhof), and is among the five busiest stations in Europe. Because of its location in the middle of Germany and usage as a hub for long and short distance travelling Deutsche Bahn refers to it as the most important train station in Germany. The Städel Museum, officially the Städelsches Kunstinstitut und Städtische Galerie, is an art museum in Frankfurt, with one of the most important collections in Germany. The Städel Museum owns 2,700 paintings (of which 600 are displayed) and a collection of 100,000 drawings and prints as well as 600 sculptures. It has around 4,000 m² of display and a library of 100,000 books and 400 periodicals. Main Tower is a 56-storey, 200 m skyscraper in the Innenstadt district of Frankfurt, Germany. It is named after the nearby Main river. The building is 240 m when its antenna spire is included. Rome2rio makes travelling from Cologne to Frankfurt Airport (FRA) easy. Rome2rio is a door-to-door travel information and booking engine, helping you get to and from any location in the world. 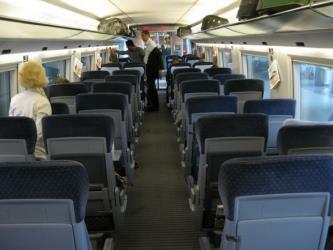 Find all the transport options for your trip from Cologne to Frankfurt Airport (FRA) right here. Rome2rio displays up to date schedules, route maps, journey times and estimated fares from relevant transport operators, ensuring you can make an informed decision about which option will suit you best. Rome2rio also offers online bookings for selected operators, making reservations easy and straightforward.